As electric cars become increasingly popular, an important issue has popped up. They are too quiet, especially at slow speeds. This is a hazard for pedestrians who are usually alerted to a vehicle by the sound of the engine. Combustion engines have been the norm for over a century and the quiet nature of electric vehicles can catch pedestrians off guard. Because of this, the Department of Transportation has implemented new rules to help protect pedestrians. They require electric vehicles play sounds when traveling below 18.6 mph. The DOT will allow companies to forgo playing a sound above 18.6 mph because sufficient sound is produced by the tires and wind at higher speeds. This eliminates the need for additional noise. Another issue that presents a danger to both pedestrians and other drivers is the lack of audio feedback to the driver. In traditional vehicles, the driver can gauge how fast they are going by the sound of the engine. Without it, a driver may not realize how fast they are going until they look down at the speedometer or are pulled over. However, some car companies have taken the initiative to create custom sounds for their vehicles. Mercedes has even enlisted the help of Linkin Park and other audio experts. Audi, BMW, and other manufacturers have done the same. The rules don’t regulate the types of alert sounds the cars will play, allowing companies to develop multiple sounds that can be chosen by the driver or to give different models their own sense of personality. It remains to be seen how eccentric companies will be when creating sound options. These regulations were first introduced in 2010 but faced multiple delays. They were finalized recently and don’t require full compliance until 2020. However, companies will need to have 50 percent of their vehicles emit sound by 2019. With full implementation, it is expected that there will be 530,000 vehicles able to produce artificial engine sounds. In addition, 2,400 injuries will be prevented. It is expected that the new standard will cost companies an additional $40 million annually, but will save $250 million to $320 million in injury costs. 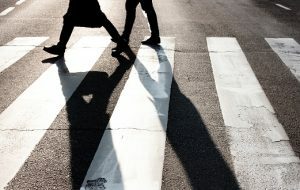 To further prevent injury, it is important that pedestrians practice habits that reduce their risk, such as using clearly marked crosswalks, not interrupting the flow of traffic by darting out into the road, and by waiting for a “walk” signal to cross the street. Oregon and Washington pedestrian accidents happen all too frequently. If you or someone you know has been injured, contact an experienced attorney with our firm today. Your personal injury consultation is free and confidential. This entry was posted on Monday, May 14th, 2018 at 6:46 pm and is filed under Car Accidents. You can follow any responses to this entry through the RSS 2.0 feed. You can leave a response, or trackback from your own site.